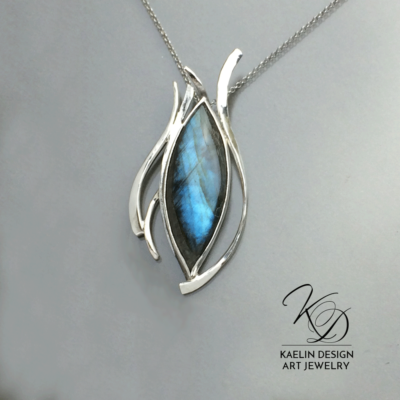 This Labradorite pendant was inspired by moonlight dancing across the endless rolling waves on the face of the ocean. Even with no one around to see it, this quiet moment beautifies the world. 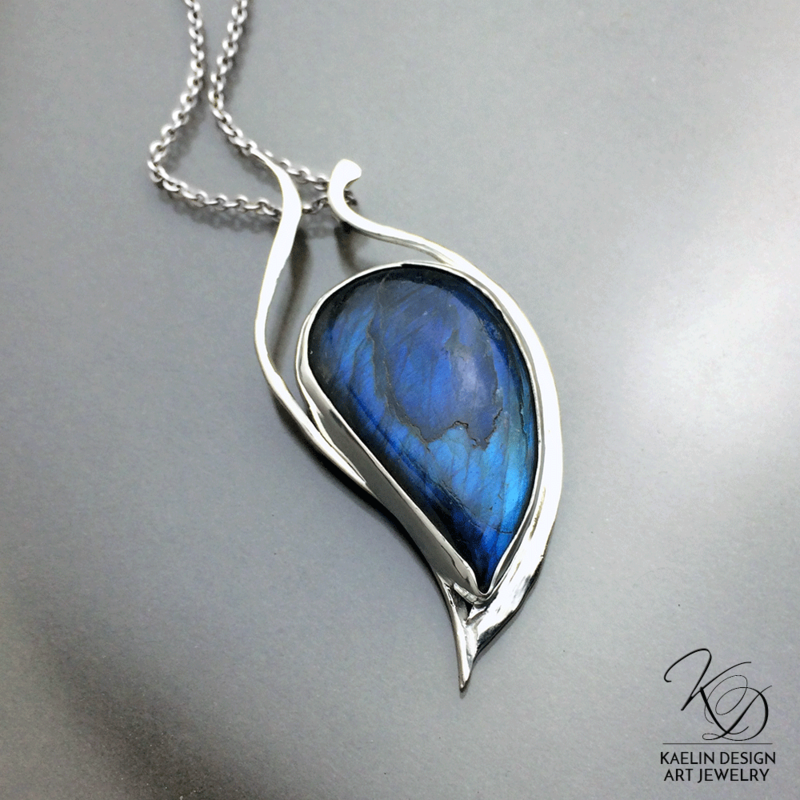 Dark Waters boasts the irridescent shimmer of a custom cut Labradorite cabochon, as it mirrors the deep blue depths of the briny deep, framed in hand forged sterling silver. Dark Waters has been sold, but I continue to be inspired by Labradorite. 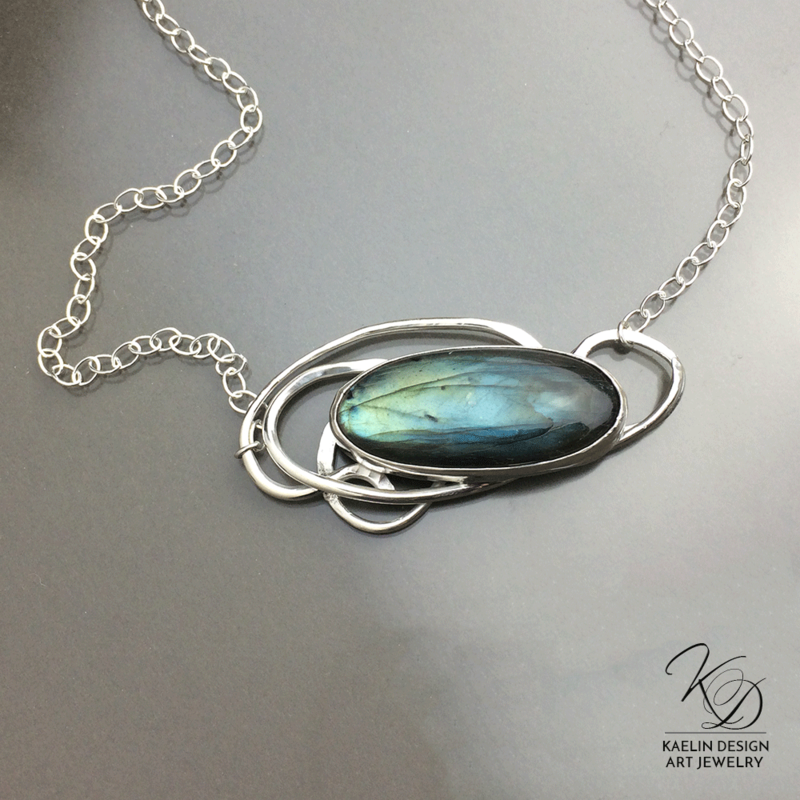 If you would like a similar piece created in the style of Dark Waters, or any of my other Labradorite art jewelry pendants, I would be delighted to work with you. 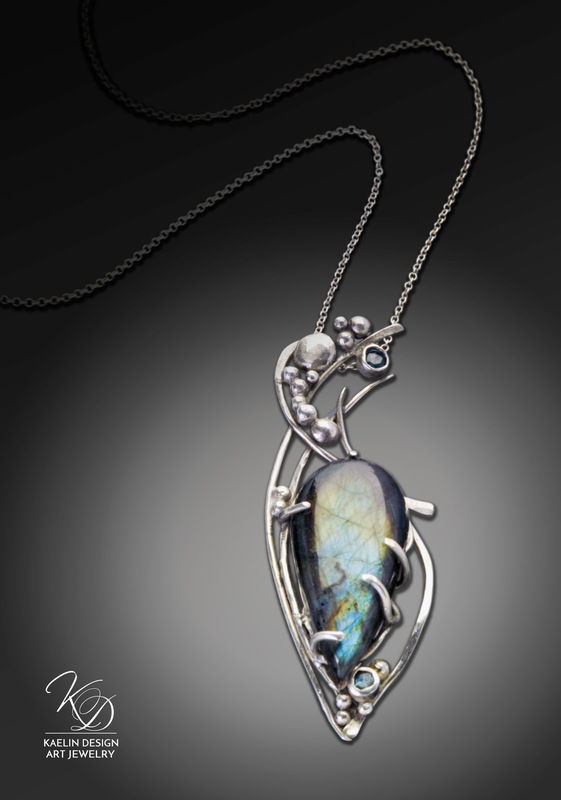 Please contact me to discuss how you would like your custom labradorite pendant to be created.